Jon Taffer is an internationally recognized and award-winning bar and nightlife consultant, with more than three decades of hands-on experience. He's a two-time winner of the Bar Operator of the Year award, and his management methodology, "Reaction Management," has become the gold standard of the industry. You might know Taffer from Spike TV's No. 1 hit show “Bar Rescue,” in which Jon turns failing bars into profitable businesses. The show, with more than 100 episodes, is in its fourth season. 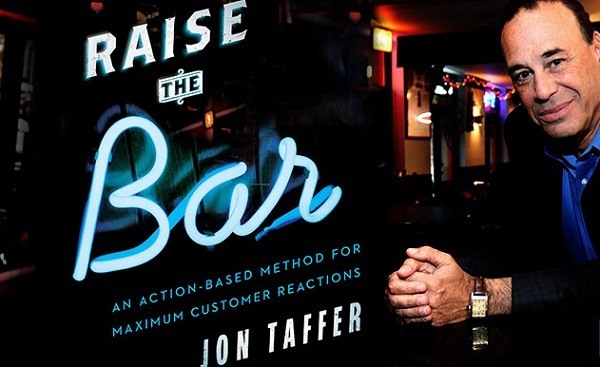 Jon has also created a free, all-inclusive bar and nightclub management app, "Jon Taffer's BarHQ," and he is the best-selling author of Raise the Bar: An Action-Based Method for Maximum Customer Reaction. I invited Jon to Marketing Smarts to talk about the importance of customer experience in branding and promotion, the marketing secrets he's learned after 30 years in the hospitality industry, and how a business owner who's suffered a setback can get the company back on track. Whatever business you think you're in, you're really in the business of creating reactions (06:33): "We don't market. We create reactions. We achieve it through marketing. Marketing is not what we do—it's the vehicle to what we do. Because if marketing doesn't create a reaction, it's meaningless... I had that revelation when I was young. "Music, food, beverage, marketing—none of these things are, in fact, the product we create. We are in the business of human reactions. And whether we're marketers, promoters, food developers, beverage developers, business owners... he or she who creates the best reactions, wins." 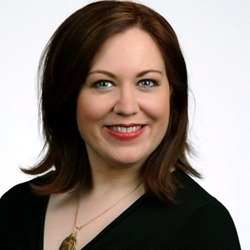 Devote yourself to engineering customer experiences that drive reactions (08:22): "Let's say you go to a nice steakhouse for dinner and you're gonna spend $60 to $80 on a steak. The lights are low and the waiter walks slow, doesn't he? Then you go to a three-meal-a-day Denny's-ish type of restaurant. The lights are bright, the waiter walks fast. If the waiter walks faster in the steakhouse, that steak wouldn't be worth $60. If he walked around like the waitress at Denny's, the steak wouldn't be worth $60. The mechanics and pace affect the value of the product. If the lights were brighter in that steak house, the steak wouldn't be worth $60 anymore, would it? "All of these things affect what you're willing to pay for something—how you perceive it, what it's perceived value is, whether you'll come back, and all of that is reactionary. Sensory, if you will. Subliminal. And when you really get into the depths of what causes you to come back and the sciences of how do I get you to respond to a message and 'how do I change the response rate of those messages,' I'm a nutcase. I pick all that stuff apart consistently. That's how I drive sales." "In all my years of consulting, I learned a lot about success. 'Bar Rescue' taught me about failure. And knowing about failure is very, very important to understanding success. I've now done 103 Bar Rescues, and these people are deep in failure.... Every one of them has found some way to blame their failure on someone or something else. And the moment I can get them to accept that the failure is because of them, they don't like it, and that's when it changes." You can learn more about Jon Taffer at JonTaffer.com, and follow him on Twitter: @JonTaffer. You can also see Jon turn failing bars around on "Bar Rescue" on Spike TV, Sunday nights at 10:00 PM / 9:00 Central. Jon offers instructional video content for bar owners and their employees, as well. Taffer Virtual Teaching features video lessons to teach and test skills. And be sure to check out Jon's book, Raise the Bar. Jon and I talked about much more—including the most important factor of a brand's success, and the bottom-line value of laughter—so be sure to listen to the entire show, which you can do above, or download the mp3 and listen at your convenience. Of course, you can also subscribe to the Marketing Smarts podcast in iTunes or via RSS and never miss an episode! Jon Taffer, internationally recognized award-winning restaurant operator, owner, and concept developer, and host of the show "Bar Rescue" on Spike TV. Learn more about Jon at JonTaffer.com, and follow him on Twitter at @JonTaffer.